This week, Cute's class is having a ton of events, and almost every day is packed with some fun. It marks his 100th day of school, and St. Patrick's Day. 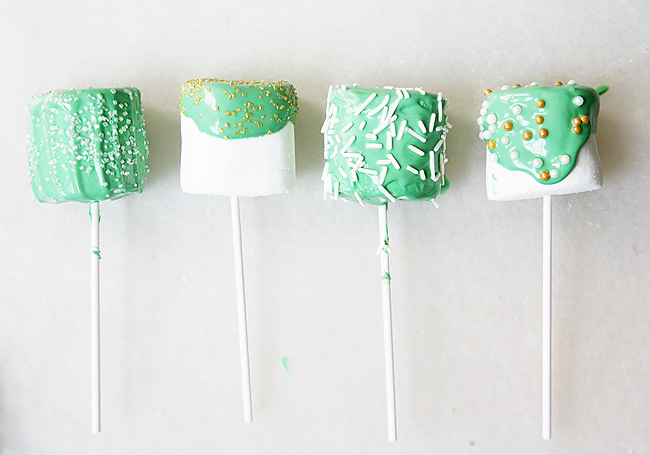 We knew we wanted to make some fun treats for each event, and Cute decided at least one of the events needed to be celebrated with marshmallows. 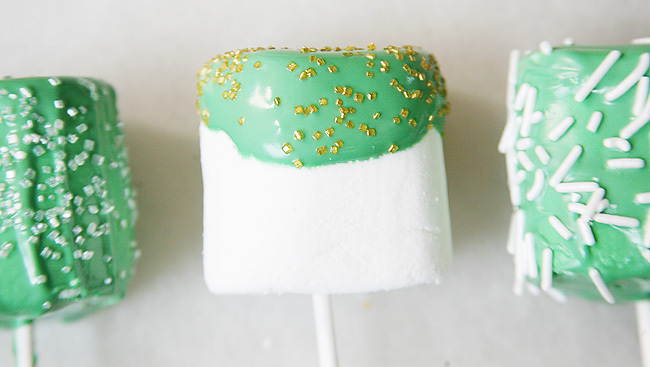 My question is...what event doesn't need a marshmallow? We found the largest marshmallows either one of us have either laid eyes on, and came up with the idea of turning them into huge marshmallow pops. These had three components that made these a no brainer: 1.) They are easy. 2.) They are quick. 3.) They are yummy! 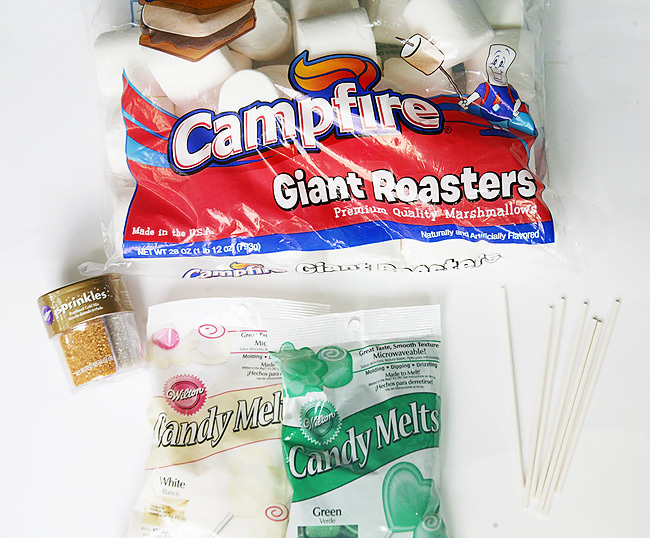 Prep the marshmallows by placing the sticks in the center of the bottom and make sure it is secure. Place chocolate in bowl and microwave in 30 second increments, stirring in between each restart. Repeat until smooth. 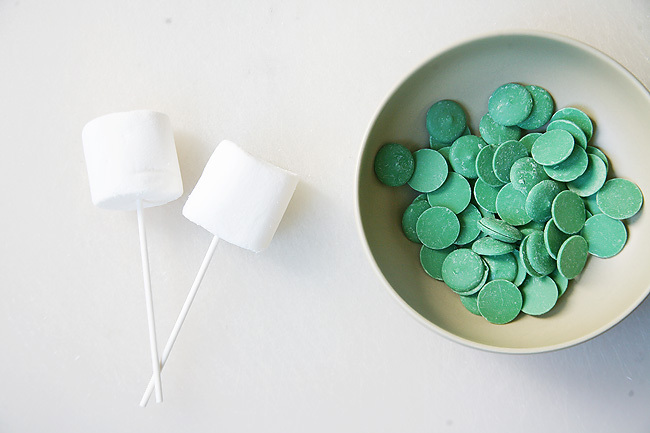 Once ready dip marshmallow carefully into chocolate. Cover as desired. 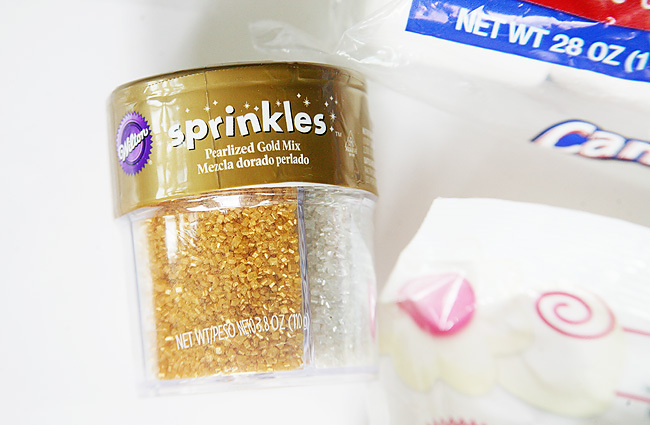 Sprinkle or top as desired. 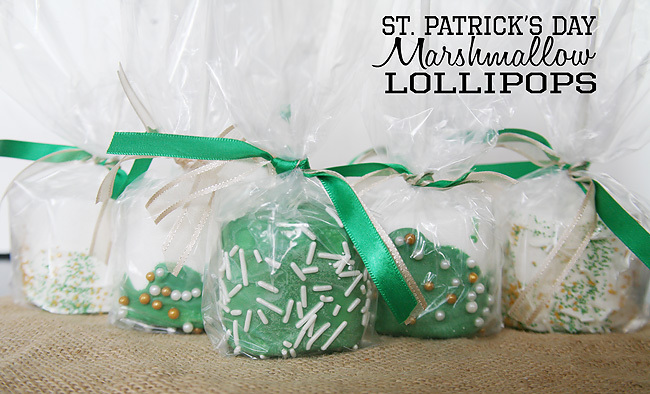 Either enjoy or gift, but what ever you decide this yummy treat will be sure to be a huge hit with those silly leprechauns.